Far Cry 2 and I have a very special relationship, as I don't think I've ever enjoyed a game that I hated so much. I've played it many times, loving and loathing every second of it. For as much as it infuriated me with its glitches and stodgy pacing, it continued to delight me with its promise of close-to-the-bone survival in a uniformly hostile savanna. Naturally, I would have preferred if Far Cry 2 provided more pleasure than pain, which is why Far Cry 3 has held a particular allure. If it could up the survival and reduce the frustration, Ubisoft would indeed have something very special on its hands. It hasn't gone completely one way, but Far Cry 3 does more good than harm. More story-driven than its predecessor, Far Cry 3's single-player campaign tells the story of Jason Brody, who along with his friends takes an ill-advised skydiving trip to a tropical island ruled by a gang of slave-trading pirates. After escaping his captors, led by the sadistic Vaas, Jason finds himself rescued by a local villager, who then trains him in the art of jungle survival and ultimately sets him on the path of reclaiming Rook Island from Vaas and his sociopathic followers. Although the story teeters on the edge of 19th century "Mighty Whitey" territory, featuring as it does a spoiled American who transforms into the perfect tribal hero almost overnight, Far Cry 3's narrative is tightly written and stylishly presented, featuring a cast of eccentric characters who rank among this year's most memorable. Vaas, a charismatic antagonist whose fevered diatribes and dark humor make him hard to dislike, is an obvious highlight, but he is more than matched by subsequent villains and bizarre supporting characters, all competing with each other to see who can chew Rook Island's luscious scenery into dust the fastest. A cast of fantastic voice actors bring each of these characters to life, making for one hell of a bombastic story. At the heart of this campaign is gameplay familiar to those who enjoyed Far Cry 2, with its framework greatly expanded to include a lot more activity across a massive open world. 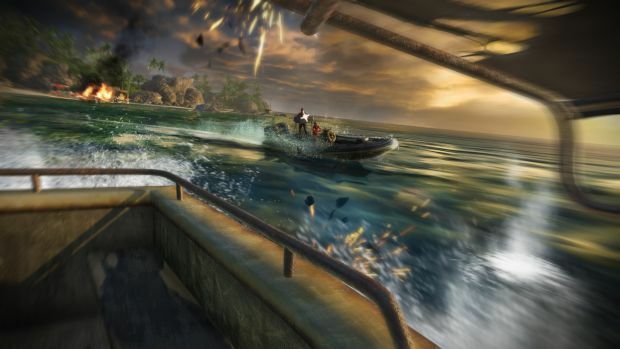 Players take on missions selected at various destinations across the island, whereby Jason fights to rescue his friends and take down Vaas' minions. Mission variety is a big part of the adventure this time around, with stealth, sabotage, and straightforward combat all playing crucial elements. A range of firearms, hunting bows, and explosive weaponry are on hand to help players engage in battles according to their own preferences, and each one can be upgraded with modifications as the game progresses. As players earn experience points, they get to unlock abilities along three distinct skill trees: the Heron for ranged combat, the Shark for direct assault, and the Spider for stealth and hunting. Unlocking skills on any one tree does not preclude you from using the others, especially since the skills are unlocked incrementally by playing through the story. It's more a matter of what you want to unlock first, since eventually Jason will be proficient in all three sets with enough time. Abilities include a greater sprinting speed, better aim with weapons, more health, and silent movement, all fairly standard upgrades that nonetheless come in handy. The special "takedown" powers come highly recommended, as they allow Jason to perform multiple instant kills in increasingly cool ways and toss in some extra XP for each successful performance. 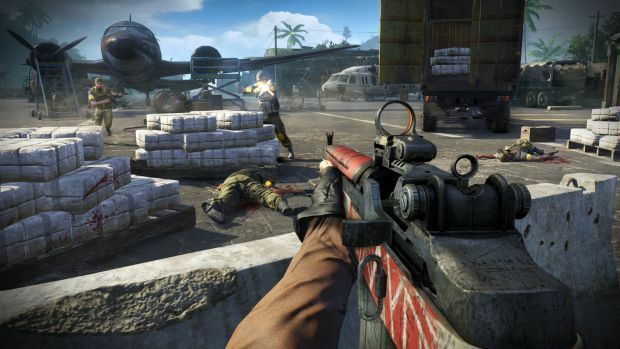 Far Cry 3 brings an increased focus on survival, aided by an involved crafting system. When the game begins, Jason has a pitiful inventory capacity, no healing items, and very little else of use. However, by hunting down animals for their skin and culling plants from the wild, players quickly learn to combine resources and expand their inventory to include healing syringes, bigger backpacks, larger ammo pouches, and a variety of stimulants to grant temporary buffs. A large part of the game is centered around hunting for animals and picking different colored flora, with the map handily pointing out the best hunting spots. Rook Island boasts a wide selection of wildlife, some of which fight back or run away at high speed, requiring both skill and patience to take down. As well as hunting, there are plenty of other activities to keep players distracted. Radio towers must be climbed and deactivated in each sector of the island, allowing for more of the map to be revealed. In addition, pirate strongholds can be cleared and taken over by allies, making the surrounding area safer to travel as enemies no longer patrol the roads. In each friendly base, special assassination and hunting quests can be undertaken, charging players with the task of eliminating particular enemies or creatures with a specified weapon. A series of "Rakyat" challenge courses can be found, featuring scored objectives with online leaderboard functionality, and the island is of course littered with secret objects and a ton of loot to find and sell. Although there's a lot to do, one thing Far Cry 3 suffers from is a feeling of grinding repetition. All the side objectives are fairly uniform and often feel like a waste of time. Climbing radio towers via clunky first-person platforming sequences is a particular drag and slows the action to a crawl, while hunting some of the friskier animals, such as deer, can grow incredibly tiresome, especially when certain animals prove almost crucial for getting Jason decent gear. 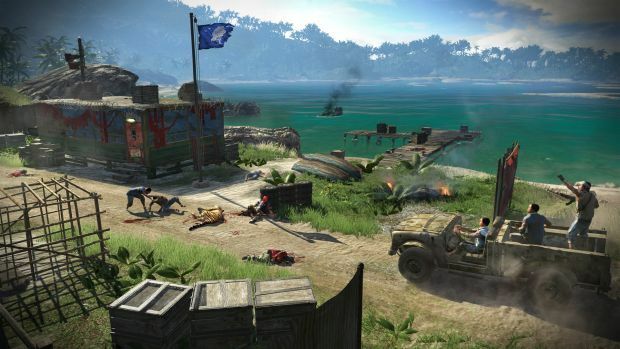 Far Cry 3 is a game of many features, but only on the surface level. None of the individual activities feature much nuance or variety, to the point where if you've played one you may as well have played them all. Balancing out the repetition is a sense of detail and quirky humor that permeates everything, especially with regards to the expansive encyclopedia of background information found in Jason's journal. All loot discovered, animals killed, and characters encountered are noted in an expanding record of Rook Island's features, and the silly write-ups are well worth reading through. Little touches like this are what set Far Cry 3 apart from the crowd and help alleviate the feeling of monotony that some of the extra gameplay can enforce. 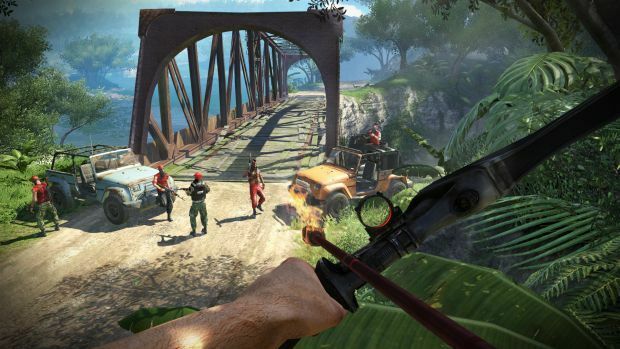 Far Cry 3 aims for more fluidity in its gameplay and mostly succeeds. Fast travel points are spread liberally throughout the island, with zip-wires and hang gliders making manual navigation speedier, and players have enough combat options to be able to change tactics should something go wrong. Stealth has been improved tremendously, with players able to turn animals against the opposition, create distractions by throwing stones, and slay multiple opponents in a beautiful chain of surprise kills. Grass and buildings are as flammable as ever, while enemies react to any discord sewn amongst their ranks accordingly. When everything goes in your favor, the sense of cruel power is almost criminal. Despite its best efforts, some old problems return. Even though travel has been improved, getting from A to B can still feel like a boring slog, and driving rickety vehicles through tricky terrain from a first-person perspective remains an exasperating hassle. Further, even though combat is more flexible and Jason can hold his own in a fight, there are many moments when forces seem overwhelming and the player is forced to either retreat or take a lengthy diversion to attack from another direction. This isn't helped by the random clairvoyance of enemies, who will forget they ever saw you if you duck in grass but instantly know exactly where you are if you don't, even if they shouldn't be able to see you. Though not as notably glitchy as Far Cry 2, there are still some technical issues holding the affair back. The game looks utterly gorgeous on PC but seems remarkably uglier on an Xbox 360, as basic textures often pop shamelessly into view. The physics are unreliable as well, with Jason just as likely to erratically fly off the side of a rock as jump across it like intended, and sometimes even taking physical damage after jumping from mildly steep ground. On the PC side, the biggest problem is a horrible menu that's poorly laid out and requires an inordinate amount of clicking on "back" icons to navigate. The solo campaign is littered with tiny annoyances and can sometimes feel like a grind, but the overall quality of the product tends, more often than not, to make up for it. 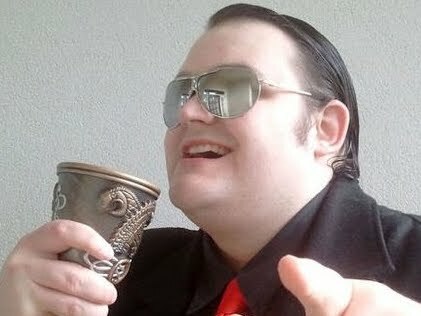 A lot of the drearier content can be skipped overall in favor of a campaign that will still last a solid eight to ten hours, providing a satisfying, effective story full of wonderful characters. If the game offered the single-player mode alone, it would be worth the investment for most shooter fans. Far Cry 3 does not just offer a solo mode and actually manages to give both its multiplayer options an equal amount of attention, creating an evenly balanced triad of entertainment. Both a full-fledged competitive multiplayer and self-contained cooperative campaign are available, and both are involved enough to justify their existence. Rather than churn up some tacked-on obligations that exist merely to bow to modern convention, Ubisoft has really pushed the boat out and committed itself to making each item on the menu worth experiencing in its own right. The competitive multiplayer does little to liven up the genre with new ideas, but it does what it does competently and offers enough content for any players who find themselves compelled to keep playing. Providing a series of capture-and-hold and deathmatch game types, it's fair to say that Far Cry 3 comes off very much as Call of Duty in the jungle, which isn't necessarily a bad thing. Packed with plenty of unlocks, including weapons and tactical gear, along with an experience system and kill streak rewards, everything seems almost ruthlessly designed to appeal to the COD veteran. There are a few unique twists, such as being able to revive fallen teammates, and some really cool special weaponry (poison gas springs to mind), but the core remains quite familiar. The colorful splash of paint certainly helps make multiplayer feel a little fresh, but in a year that's seen even Call of Duty try and do more to step away from the stagnation of the genre, a game that sticks this close to formula feels almost trite. The content is all quality stuff, don't get me wrong, but unless you really click with Far Cry 3's particular flavor of factory-standard shooter, you will more than likely feel like moving on as soon as the next one hits the market with crushing inevitability. In fairness, Far Cry 3's map editor at least offers potential for constant new environments in which to kill. As well as being able to randomly generate terrain, players can tweak a huge amount of environmental aspects, and have all the tools required to craft their own multiplayer arenas. Co-op, on the other hand, is a far more engrossing prospect. Telling its own story of four ship passengers out to avenge themselves against a captain who sold them out to pirates, up to four players portray a quartet of stereotypes. There's the Scot who is violent and vulgar because he's a Scot, the American who is basically a cowboy because he's American, the Russian who is stoic and grim because he is Russian, and the African-American woman who hasn't been given a personality because she's the African-American woman. Characterization leaves much to be desired, but these gormless heroes exist merely as avatars, used to pit allies against waves of pirates through a selection of linear levels, sometimes stopping to compete in a sniping challenge, ambush an incoming convoy, or plant bombs on a bridge. Facing a stiff challenge against dozens of enemies, players will be forced to have each other's backs as they shout battle cries for temporary buffs, revive fallen comrades, pool resources to take down heavily armored troops, or spot and mark deadly targets such as snipers. Before each round, players can select from four loadouts that act as a loosely defined class system, and they even earn experience that carries over into the competitive multiplayer. Most importantly, co-op isn't just a lazy collection of single-player missions with three extra characters shoehorned in. Genuine effort has been made to craft a series of tricky cooperative campaigns that, almost like Left 4 Dead, take the team on an increasingly hectic journey that ends with a satisfying climax. There are a few issues, mostly with the enemy A.I. that seems to be exclusively demented for this particular mode. On several occasions, I've encountered pirates that just stood there doing nothing. On the other end of the spectrum, the game is not shy about ambushing teams with a cruel amount of shotgun-toting foes who love to pop out from unseen angles and swiftly knock their victims into the dirt. These irritations taken into account, Far Cry 3's co-op still manages to be an engaging experience that puts a fresh spin on the franchise without feeling soullessly forced, and it's something I intend to go back to at least several times beyond the writing of this review. There are many things about Far Cry 3 one can nitpick, and I like to think I've had a fair crack at many of them here. While riddled with minor gripes, there is no one overwhelming, glaring fault that threatens to drag the whole experience down. With the third installment in the Far Cry series, Ubisoft has managed to deliver a game that provides not one, not two, but three well-crafted experiences that may vary in terms of longevity but all manage to be of uniform quality.